U.S. retail sales of medium-duty trucks in April neared 19,000, rising slightly higher than a year earlier, WardsAuto.com reported. Sales of Class 4 through Class 7 trucks rose 3.7% to 18,847. They were 18,183 a year earlier. Year-to-date, sales were 73,918 compared with 70,095 in the year-earlier period — a gain of 5.5%, and all classes showed single-digit gains. Those modest gains are counter to what typically is seen in seasonal performance, ACT Research Co. Vice President Steve Tam said. He said his expectations for the medium-duty market at the end of the year, however, remain muted. “We are looking for low single-percentage-point increases in both production and sales [compared with 2017]. That goes back to the diversification in this marketplace. Not every medium-duty truck buyer is hauling freight and experiencing the same [booming] market as the for-hire and private-fleet heavy-duty guys are experiencing,” Tam told Transport Topics. Meanwhile, sales of Class 7 trucks dipped 2.3% to 4,366. Freightliner, a unit of Daimler Trucks North America, sold 2,358 trucks, good for a 54% market share. The highly competitive Class 6 segment showed the most improvement, up 9.6% to 6,033. Freightliner notched a leading 33% share with 2,021 trucks. International, a unit of Navistar Inc., sold 1,598 trucks, good for a 26% share. Ford Motor Co. was next in Class 6 with 1,453 trucks sold, for a 24% share. Class 4 and Class 5 combined posted the most sales, up 2.9% to 8,448. In related news, Freightliner Custom Chassis Corp. delivered its 50,000th chassis to UPS Inc. The milestone was an MT-45 Class 4 chassis. FCCC began its partnership with UPS in 1996, delivering more than 600 units of its MT-45 chassis that first year. FCCC has delivered more than 1,000 chassis in a year to UPS 13 times since 1996, with a peak of more than 6,000 in 2015, according to the Gaffney, S.C.-based company, a unit of DTNA. 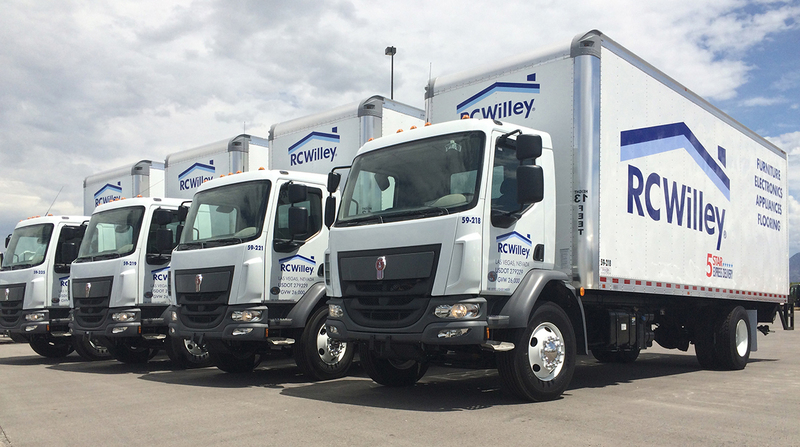 FCCC manufactures gas, diesel and alternative-fuel chassis for the medium-duty pickup-and-delivery markets. More than half of the 50,000 chassis delivered to UPS have been either gas- or diesel-powered. FCCC and UPS also have developed and deployed a range of alternative-fuel products, including hybrid-electric, hydraulic hybrid, electric, compressed natural gas and propane-autogas, according to DTNA.